More and more news from Fukushima is dribbling out into the world in the last few weeks. And the situation is just as dire or even more so than when the event was in the news more than two years ago. Yes perhaps the greatest lie of all time on this story was the cold shut down announcement that was carried by just about everybody. Well, perhaps not everybody. Arnie Gunderson still reports on it often. Here is what you need to know about the radioactive water leaking from Japan’s Fukushima nuclear plant into the Pacific Ocean. Scientists on both sides of the Pacific have measured changing levels of radioactivity in fish and other ocean life since the March 2011 earthquake and tsunami triggered a nuclear meltdown at Japan’s Fukushima Daiichi nuclear plant. On Aug. 2, 2013, when Japan’s Tokyo Electric Power Co. (TEPCO) gave its first estimate of how much radioactive water from the nuclear plant has flowed into the ocean since the disaster, the company was finally facing up to what scientists have recognized for years. "As an oceanographer looking at the reactor, we've known this since 2011," said Ken Buesseler, a marine chemist at the Woods Hole Oceanographic Institute in Woods Hole, Mass. "The news is TEPCO is finally admitting this." But the real story is not just these two issues. The real story is much more dire. 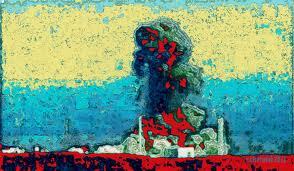 Fukushima is now and always has been in a state of emergency. The upshot is that the Fukushima disaster is not only far worse than you've been told; it's very likely going to be worse than you could ever imagine. The radiation leak isn't plugged, in other words, and another explosion -- which many experts believe might be imminent -- would release thousands of times more nuclear material into the open environment. Now even according to TEPCO, we have a crisis. Christina Consolo: Although fuel rod removal happens on a daily basis at the 430+ nuclear sites around the world, it is a very delicate procedure even under the best of circumstances. What makes fuel removal at Fukushima so dangerous and complex is that it will be attempted on a fuel pool whose integrity has been severely compromised. However, it must be attempted as Reactor 4 has the most significant problems structurally, and this pool is on the top floor of the building. What could potentially happen is the contents of the pool could burn and/or explode, and the entire structure sustain further damage or collapse. This chain reaction process could be self-sustaining and go on for a long time. This is the apocalyptic scenario in a nutshell. 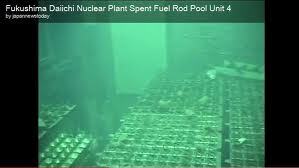 The world should not allow TEPCO to do this work without the help of the very best among us. The US should force Japan to bring in the Russians, bring in the Brits, bring in the French. Cleaning up Fukushima must and will become a global project. For Fukushima, will bring about a global legacy. One legacy will deliver us from the brink of this nuclear madness. The other Legacy will bring us to the edge of extinction. And that Legacy must not prevail.